Timmy and his guinea pig Ton find a piece of the Moon is the front yard. Come enjoy the story of a young boy named Timmy, and his pet guinea pig, named Ton, on account of he’s such a plump little best friend of a pet . . . The tale tells of how they find a piece of the Moon in Timmy's front yard and ride his red wagon like a rocket on an amazing adventure through the night up to the Moon. 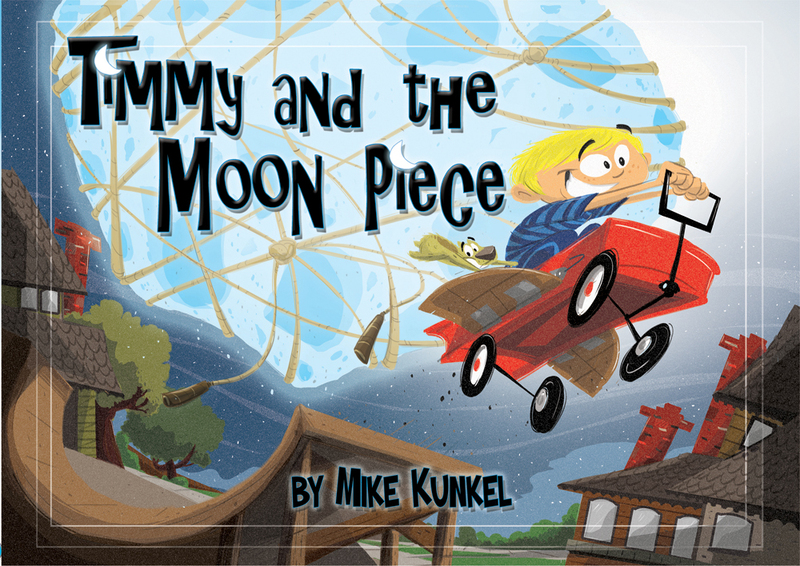 This is Mike Kunkel's FIRST children's picture book story. Get your very own copy of Timmy and the Moon Piece right here . . .